Dr. Mark D. McOmie, D.M.D. 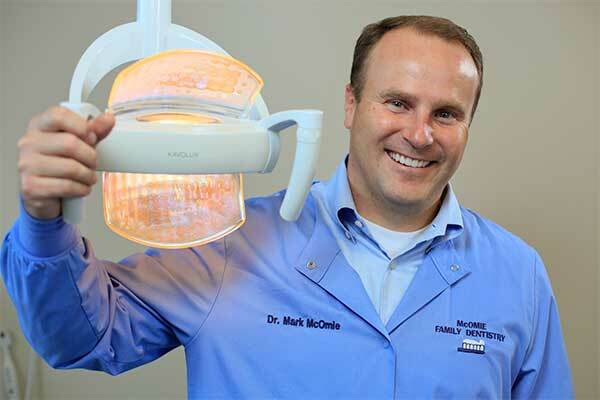 Dr. Mark McOmie is originally from Salt Lake City, Utah. He attended The University of Utah. While attending the University of Utah, Dr. McOmie worked as a lab technician for several years. He then furthered his education at the highly regarded University of Louisville School of Dentistry graduating and entering private practice in 1998. Dr. McOmie has presented research at the Kentucky Dental Association, International Association of Dental Research and American Association of Dental Research. Member of the Tennessee Valley Dental Study Group, Chattanooga Area Dental Society, Tennessee Dental Association, and the American Dental Association. Dr. McOmie also has hospital privileges at Memorial Hospital, routinely presents lectures on dentistry and is an active researcher for CR foundation. Interests include triathlon, mountain and road biking and boating. Dr. McOmie is a featured speaker throughout the country. Frequently he advises and consults for several dental companies and dental laboratories. If you are interested in having Dr. McOmie speak at your event please see more information HERE.